Pin this image so you can find all these great ideas later! 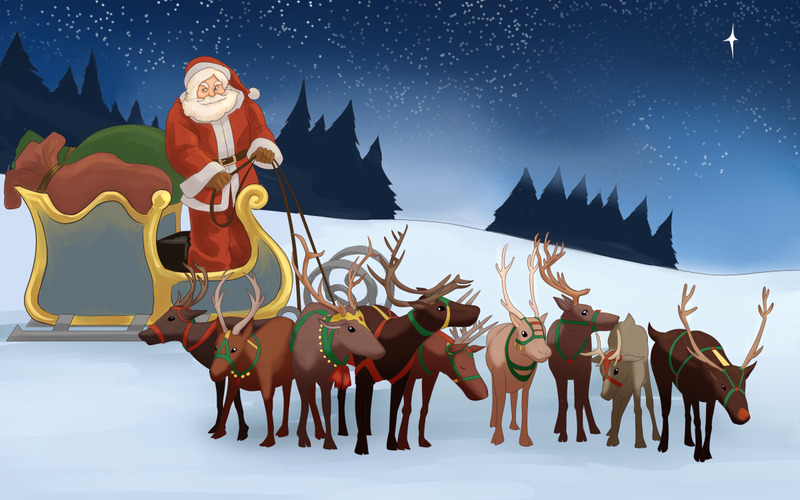 Christmas is such a great time of year, and half the fun comes from all the decorations and preparations... and the anticipation! 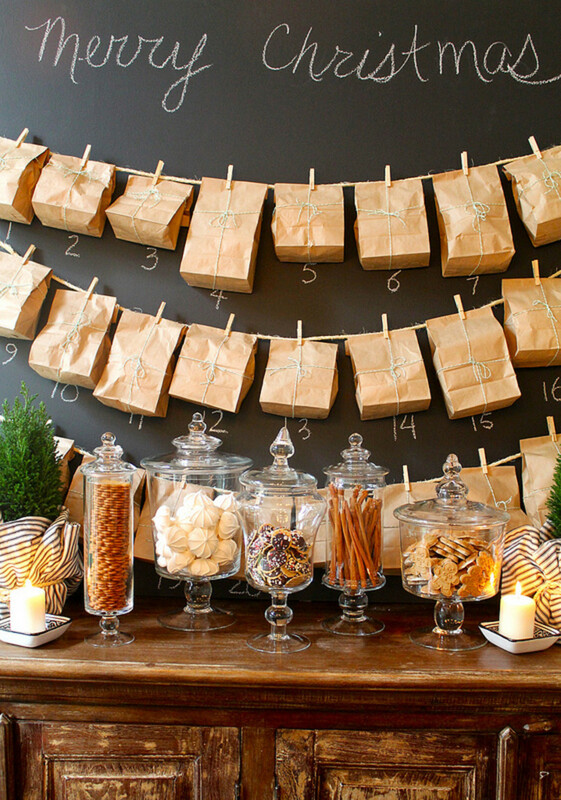 An advent calendar is a great way to help build the anticipation on the way to the big day. Why just get a store-bought one with chocolate or little pictures behind the windows, when you could make one yourself and fill it with little treats. 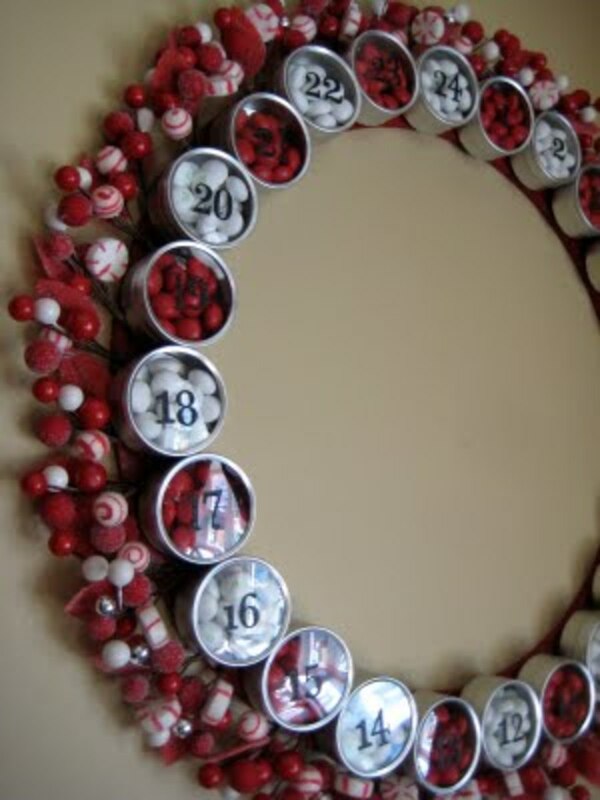 Your kids will love having a fun and individual advent calendar; they could even help you make it as well. And it doesn't have to be expensive either, most of the ones I have chosen for this article can be made from house hold items or things you can pick up at the dollar store (or pound store). You can fill them with edible treats, little gifts and toys, or even just fun things you can do together - like bake christmas cookies or watch a Christmas movie. Either way your kids will love the extra special effort you have put into it! Below you will find ten of my favourite calendars. None of these crafts are my own (sadly! 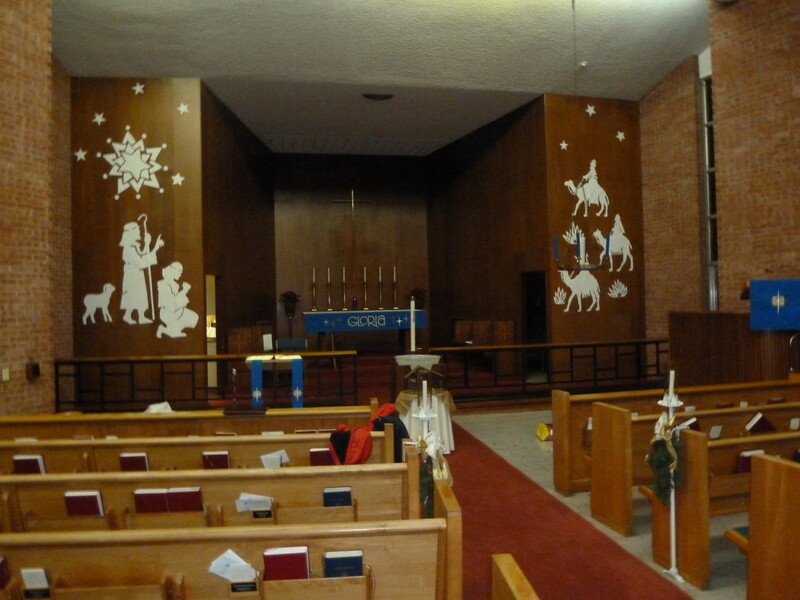 ), but you will find the sites and the links that the crafts can be found on under the pictures. 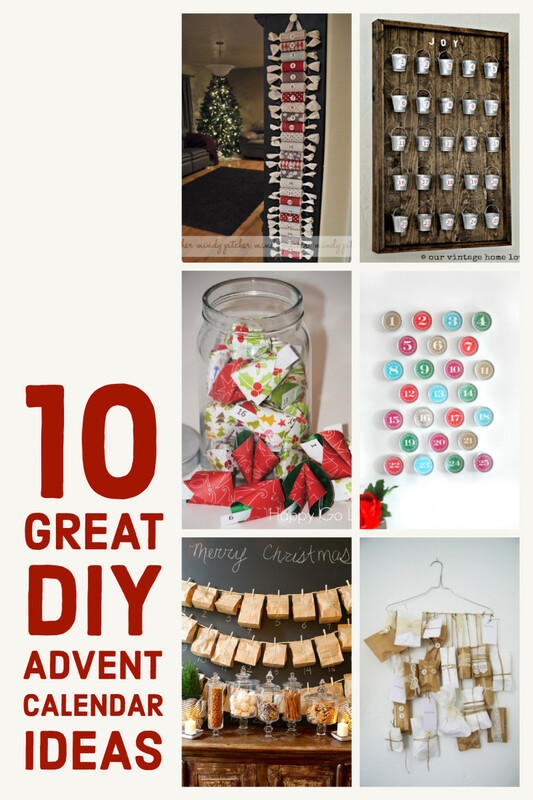 Each site will give you instructions on how to make your very own awesome advent calendar! What type of advent calendar do you use? 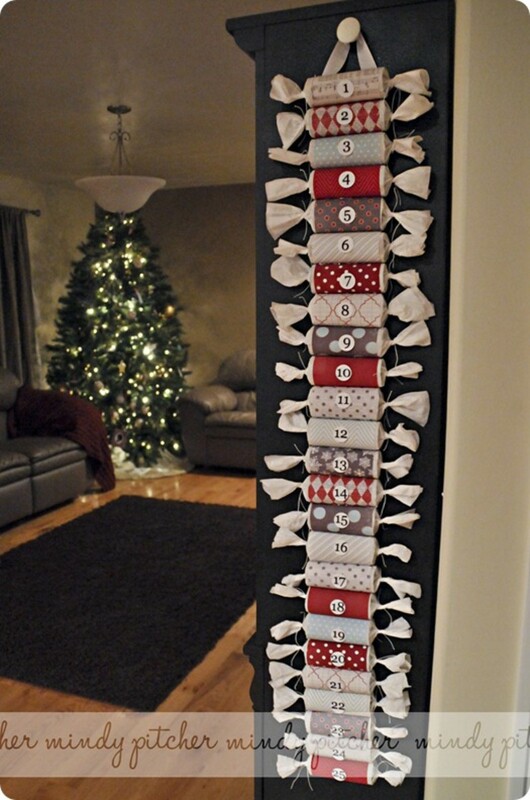 This cracker style advent calendar would look great hanging on the wall in anyones home. 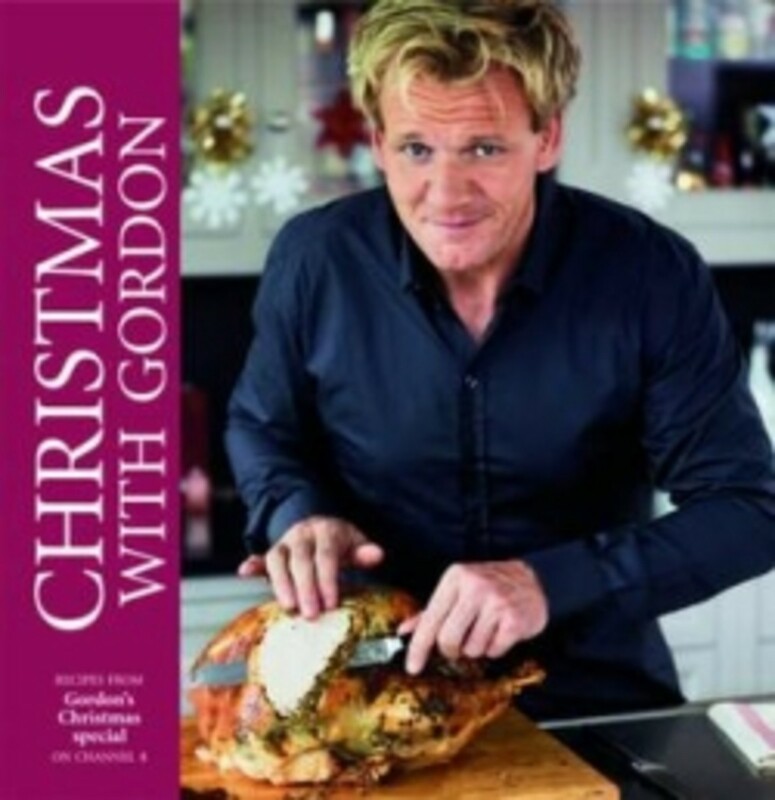 It would add an extra bit of Christmas cheer to any room. I found this one on a great blog called Mindy Pitcher. She has lots of other creative things going on on her site too. I love how simple this project is! Those little crackers are simply made from kitchen roll (or toilet roll) tubes, tissue paper and some christmas papers (you could use wrapping paper as it's even cheaper). Then you just pop a little gift in each tube and tie the ends closed. So simple, yet effective. You could tack these straight to the wall so they could easily be removed or attach them to a thick ribbon and hang that on the wall. 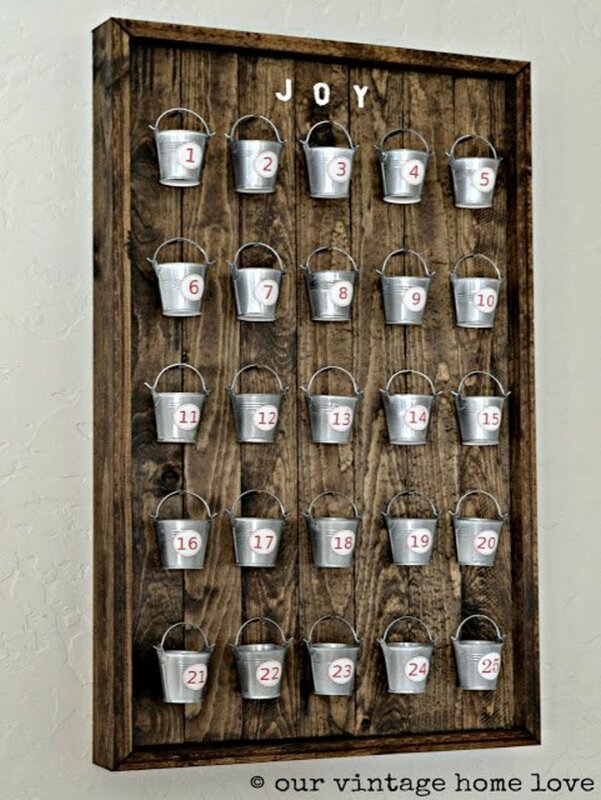 This milk pail calendar was one I found on Pintrest, and it came from a brilliant blog called Our Vintage Home Love (link under image). This is a bit of a mammoth in size, but could easily be made smaller to fit a smaller space; plus it could be made with a simple MDF board and some stick-on hooks, as long as you're not putting anything heavy in them. I think this would be brilliant if you had a few children, as you could pop multiples of an item in each pale, and they could just pull one out each day. You can usually pick the pails up in craft shops or pound/dollar stores, sometimes they are filled with other things like stationary or sweets. 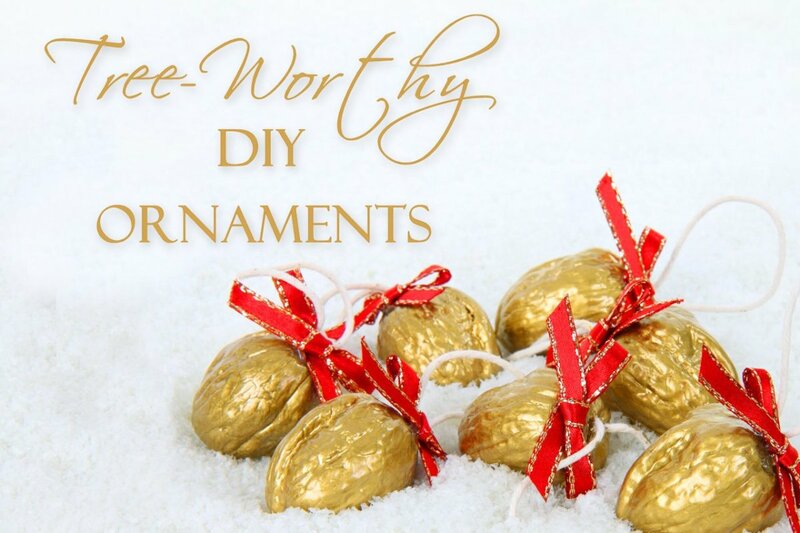 You could try spray paint them red or green to match your xmas decor too! There is just something so Christmassy about a wreath! In the UK, we only have wreaths at christmas time; unlike in the US where you use them at other times of year too. So when I see one I automatically think - Christmas! So I really love this concept, plus it is super easy to make. This one comes from a site called The June Violet. She filled each tin with red and white sweets, but you could easily put any small gift in each of the tins instead. 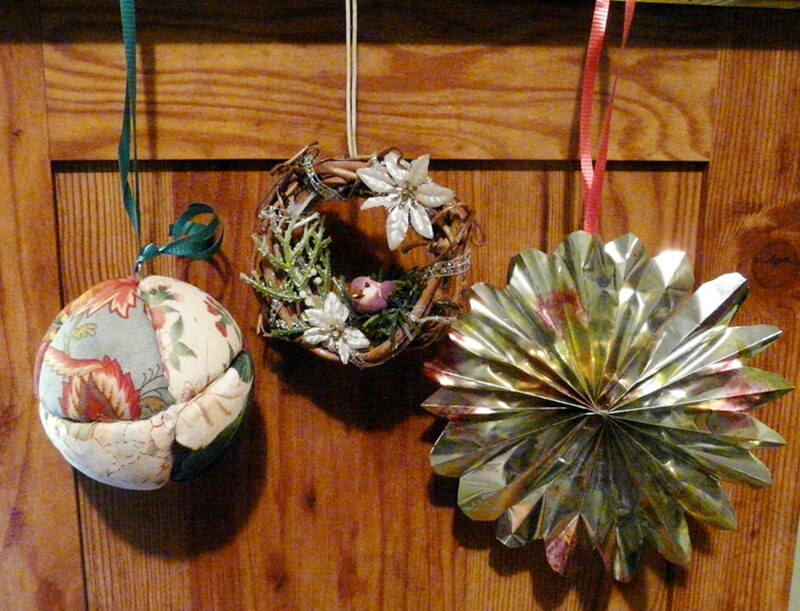 And she uses velcro to attach the tins to the wreath that way they can easily be taken down and opened, then reattached when empty. This could be done in any colour to match your christmas colour theme, if you have one! This mini santa-sack-style advent calendar just looks so cute hanging over the hearth (plus I love the giant peace sign!). 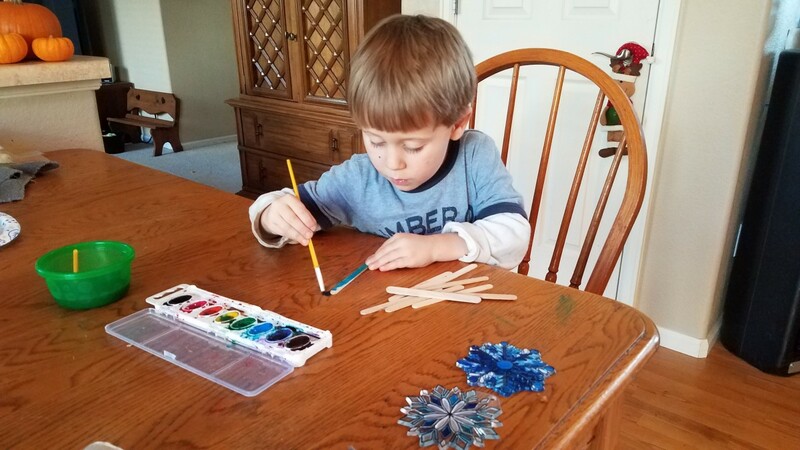 I found this on a fun, crafty, kid-friendly site called Modern Parents Messy Kids—you will find lots of other fun stuff to do with your kids there too. You can either make these little cotton sacks by hand or just buy some ready-done ones, then you can just stencil the numbers on or get your kids to decorate the bags using fabric pens. 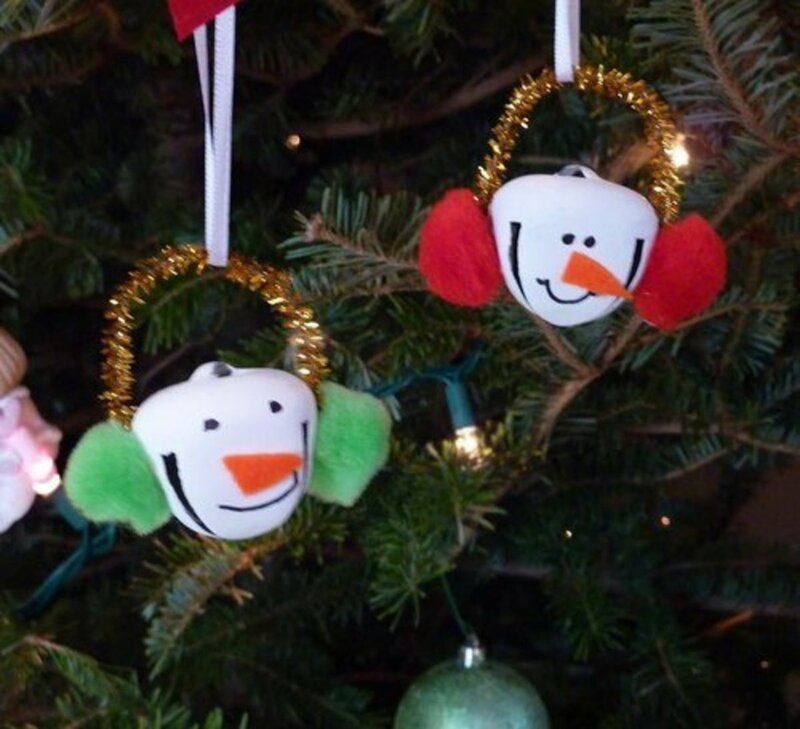 These are perfect for slightly larger gifts or if you have a number of kids, as they will hold quite a lot. Who doesn't love a fortune cookie? There is just something very exciting opening one, even when you know it is just a mass produced and printed fortune; you never know what you are going to get. If you are looking for a cheap option, then this is the one for you. 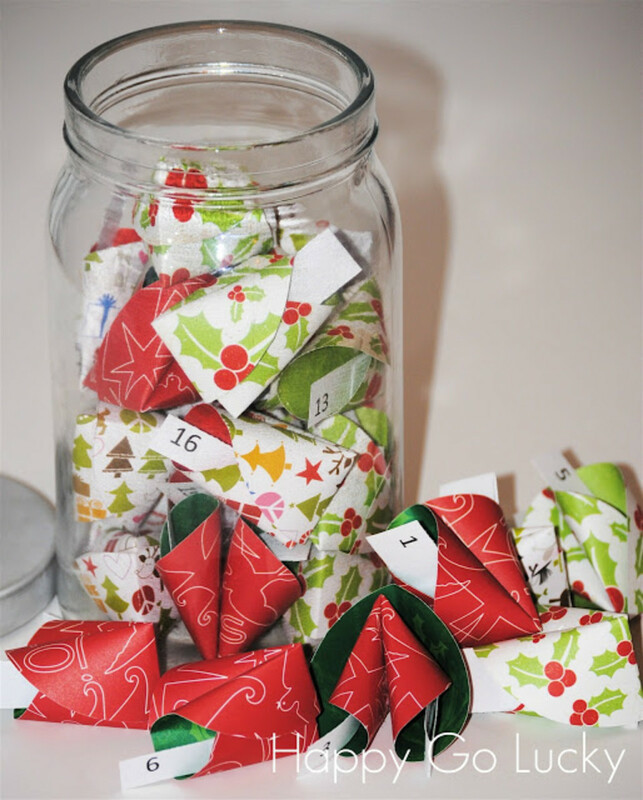 Simply use Christmas craft papers to make these cute fortune cookies and place a written treat in each—some ideas include Christmas movie with popcorn, go to see the Christmas lights in town, make hot chocolate with marshmallows, bake cookies, etc. Your kids will love spending extra time with you doing fun activities. I found this one on a site called Happy Go Lucky! 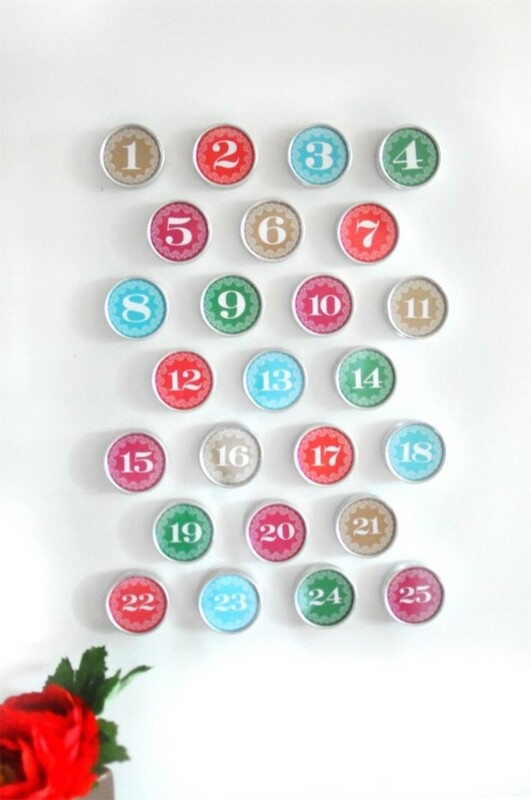 I have seen these magnetic tins in Ikea numerous times, usually they are used as spice jars, but I have seen them used many other creative ways on various crafting sites; so when I saw them converted into a homemade advent calendar, I knew I had to include it in my article. These ones have been simply decorated using craft paper in the clear lid with printed or sticky numbers to mark the days. These can then be easily attached to your fridge or other magnetic surface. You could fill these with all manner of gifts, sweets, or treats. This version was found on a site called Twig and Thistle. This has to be the cutest one of all the ideas, and I found this on a awesome craft site called Jedi Craft Girl (could that site have a cooler name?). This baby sock calendar is great no matter how old your children are. You can always find little socks in the dollar store or pound shop, and they usually come in packs of two or three pairs, so it should be pretty cheap. It would be reusable every year, as you don't damage them getting the gifts out. 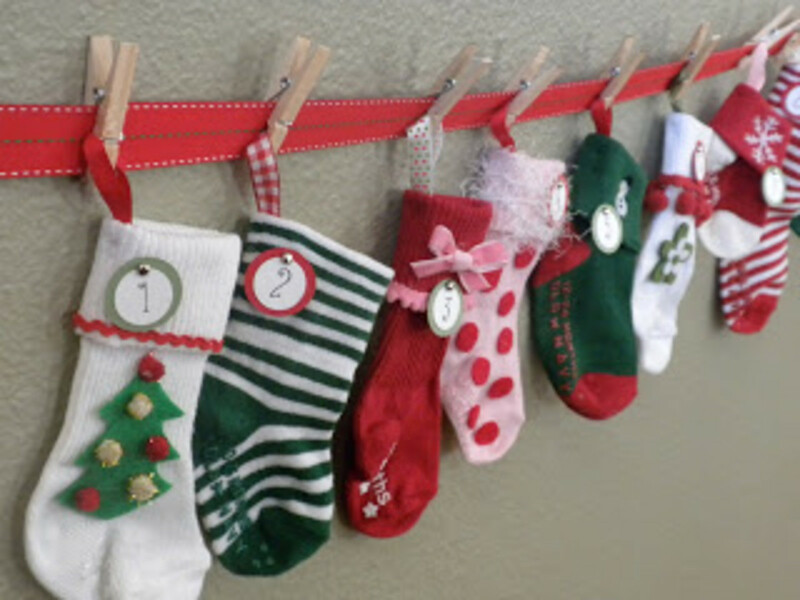 I mean look how adorable all those socks are hung as a garland over the fireplace, and you don't have to add ribbon tabs to peg them with you could just peg them straight on the sock. "The Sound of Music" is one of my favourite films, and I love seeing it at Christmas. So this calendar just spoke to me. I love how haphazard and whimsical it is! It has a certain vintage vibe to it, so would suit someone who loves vintage decor and style. Plus it is super easy to do, just get all your gifts, wrap them in paper, tie them with string (lace or ribbon), then tie the to something. This one from Silly Old Suitcase uses a wire hander for the rustic look, but you could just as easily tie them to your staircase if you have an open banister, or onto a rod or curtain pole. I think this paper bag option is great if you have older children, or if you don't have children at all, it would be great just for adults! You could pop edible things for breakfast in the first few, then maybe sealed treats like posh chocolates or special jars of condiments in the others. This would be perfect for a newly married couple to treat each other, or just a young couple wishing to have a little fun on the lead up to Christmas. You don't need to have the blackboard wall to hang it on—but it does look cool like that. I found this one on a blog called Most Lovely Things, lots of modern other crafts on there too. 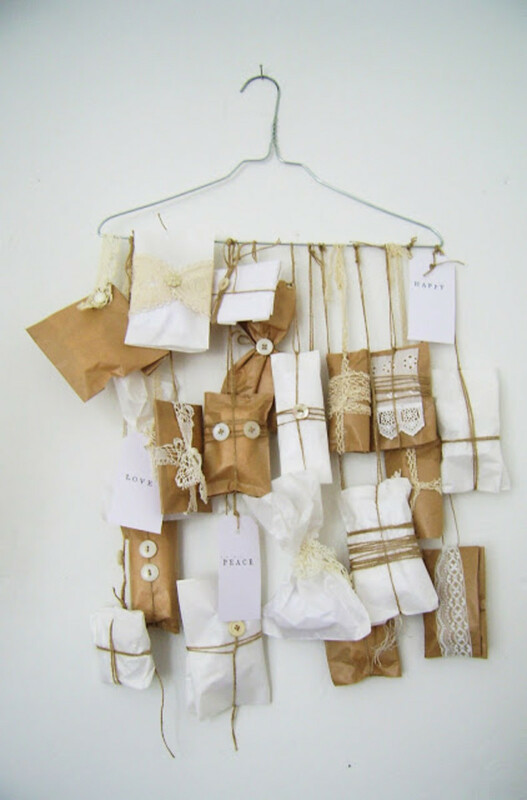 I have seen the clothes peg variation done in a number of different ways on a few different sites. This one came from a site called Visual Art. 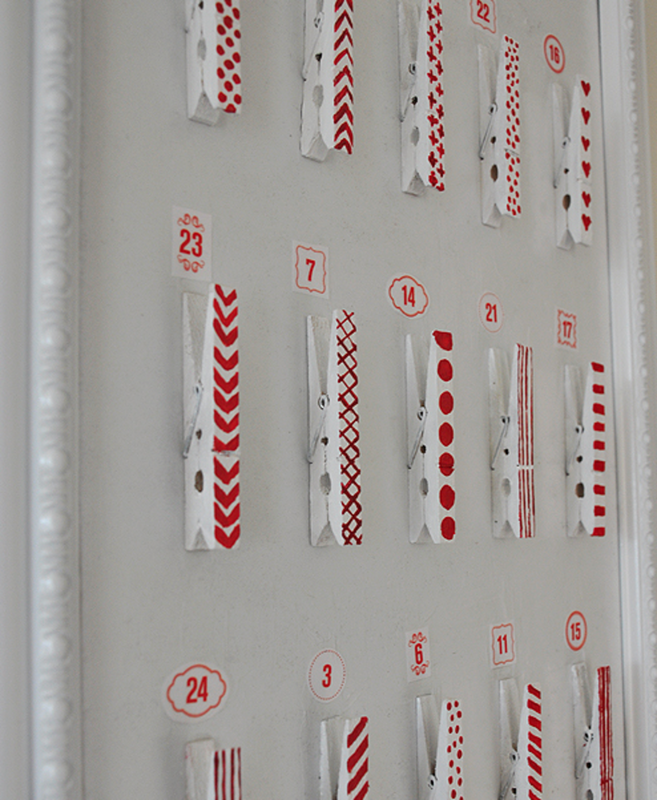 I love the way she decorated all the pegs with simple red patterns. It looks very effective—I have also seen them done with Christmas Washi Tape, which is pretty cool and very simple to do. You could add them to a small board like this and clip little treats in each peg, or put fun things to do in enveloped and tack the pegs to a wall or on a stair case. These are all really great ideas, definitely something for everyone here. Nice compilation! The Christmas cracker one is so cute glad you like them! I like the nice variety of advent calendars that you offer here. Voted up ++ and pinned. 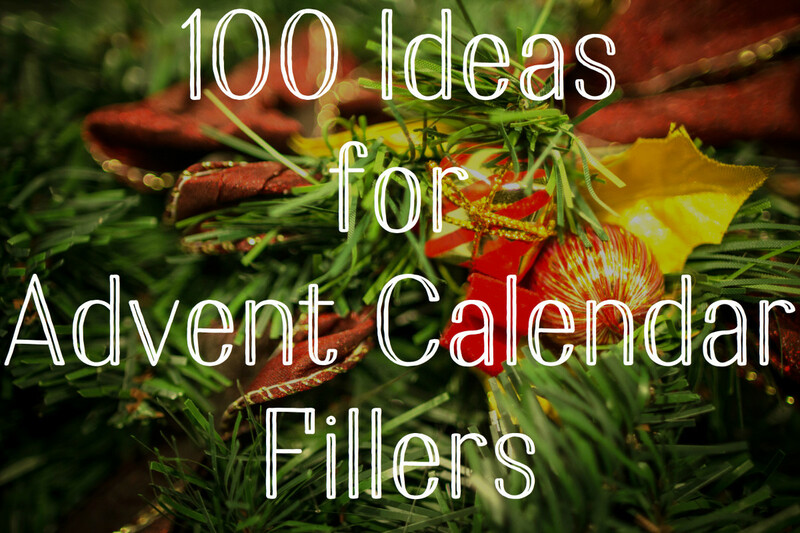 What great and unique ideas for Advent calendars! Some don't look too difficult to make. I like the Christmas cracker one the best I think as it looks good and easy to make.